Greetings from Vietnam. Along with all my reviewing etc for various newspapers, magazines, and websites, and the odd Reading Challenge or two, I've decided that over the next few months I'm going to do a bit of an 'Origins' series, looking at the debut books of popular and longstanding detectives or crime fiction characters. To go back and read the first books in long series. To look at how these characters were first introduced, described, etc - often before the authors had any idea they would end up being a series character (or at least such a long-running or popular one). 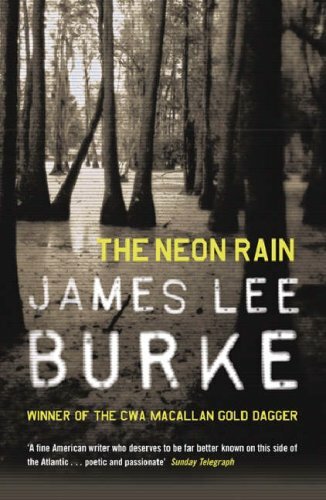 So while I'm travelling here in Vietnam, and having finished PHNOM PENH EXPRESS by Johan Smits (good) and BANGKOK HAUNTS by John Burdett (great), I'm now reading THE NEON RAIN by James Lee Burke, which introduces Cajun detective Dave Robicheaux. Unsurprisingly, it's terrific. I will post more about this on my return to New Zealand in the New Year. In the meantime, have you read any of the Dave Robicheaux novels? What do you think of him as a character, a detective? Who are some of your favourite longstanding detectives? What other 'origins' books should I have in my series. Comments appreciated. Great pick, Craig. They don't come much better than Dave R. Elvis Cole would be another one to try. I think Monkey's Raincoat was his first outing - I'm prepared to be wrong about that one.